If you would like to see some cool projects made with a small CNC mill then take a look at David Morrow’s web site. 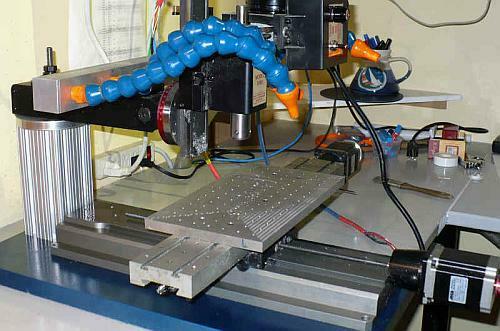 It may inspire you to try CNC or give you some new ideas if you already have. You’ll find an eclectic collection of clocks, hot air engines and motorcycle and car accessories. His work shows how CAD and CNC can let you be more creative and quickly design and make things that just wouldn’t be practical with manually operated machines. David made them on a Sherline mill that he converted to CNC. He doesn’t say much about the conversion, but he does provide details about some other modifications that can greatly increase the capabilities of a Sherline manual or CNC mill. They include an extra long and heavy base, an extended column and a flood coolant system. If you’re interested in plans then check out Gary’s Clock 2003. You can download the DXF file for it and David’s very detailed construction and assembly manuals for it.